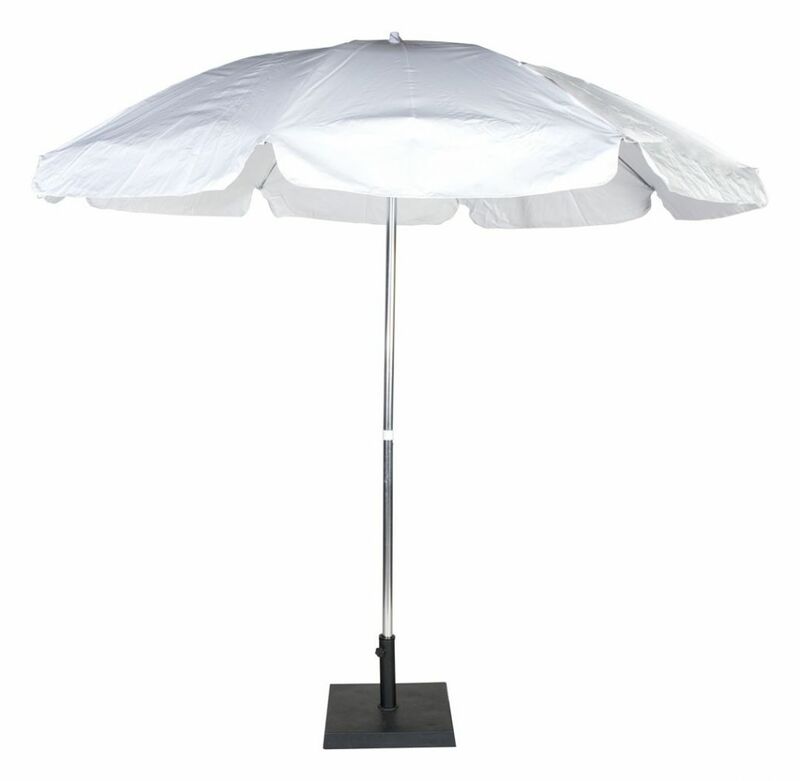 7.5 ft. White umbrella w/ tiltable pole. Rental price includes umbrella base. Use with Garden ready tables or stand alone in the umbrella base.